or e-commerce sites selling counterfeit products). in your threat analysis platform as new blacklist engine, as already done by other IT companies. 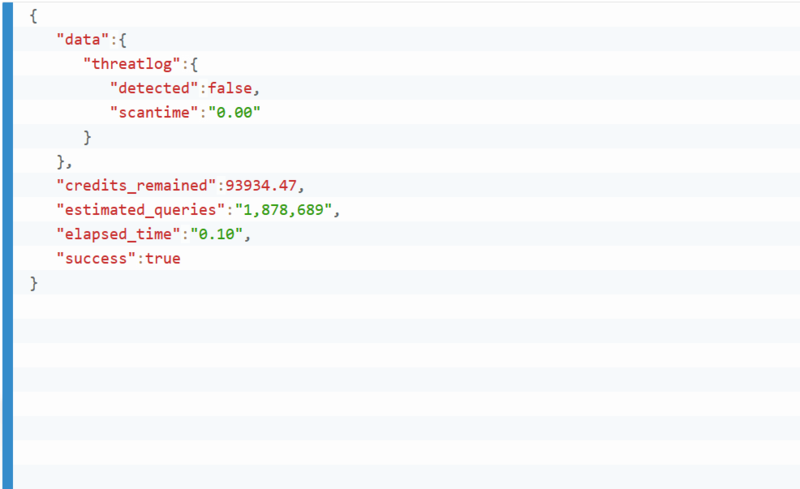 ThreatLog database is maintained by NoVirusThanks. 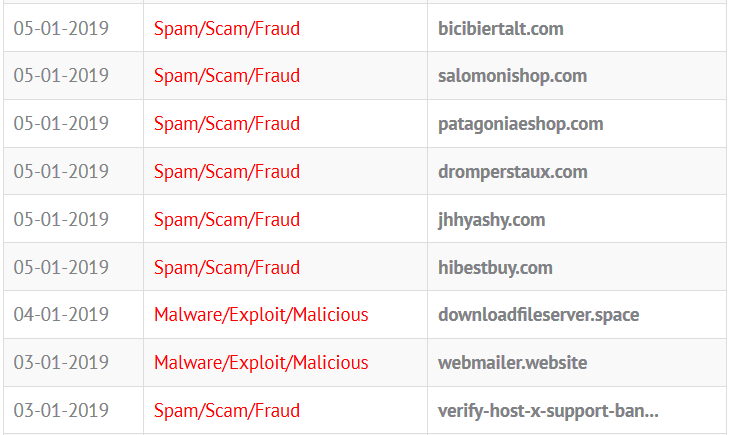 ThreatLog has a database of 240K+ malicious and scam domains (as of 02 January 2019) and is constantly growing. 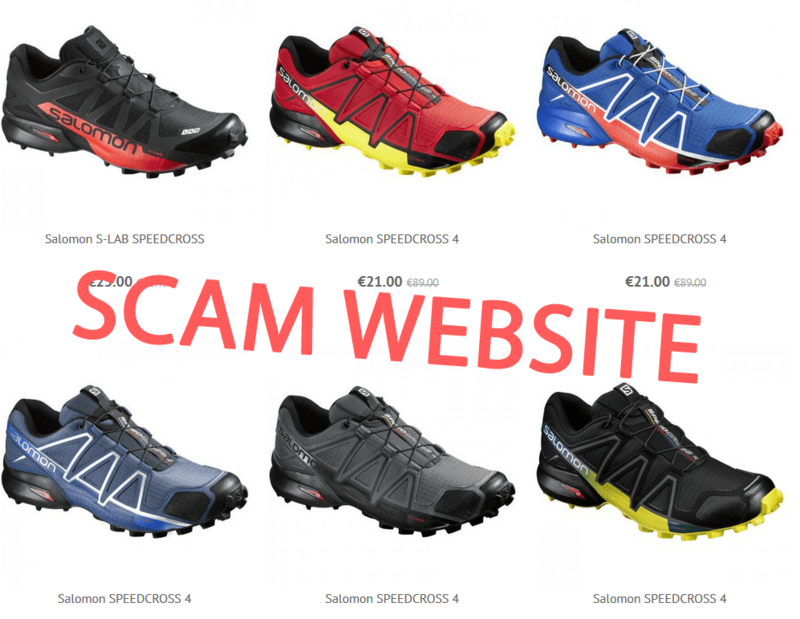 ThreatLog is known to also detect scam shops and fake online shopping sites, i.e simp-meno[. ]com, malviphot[. ]club, bonlinesale[. ]com - Jan 2019. ThreatLog contains a list of malicious websites involved in malware, phishing and fraudulent activities. We do our best to avoid false positive detections and we handle removal of malware-related websites that have been cleaned and become safe. 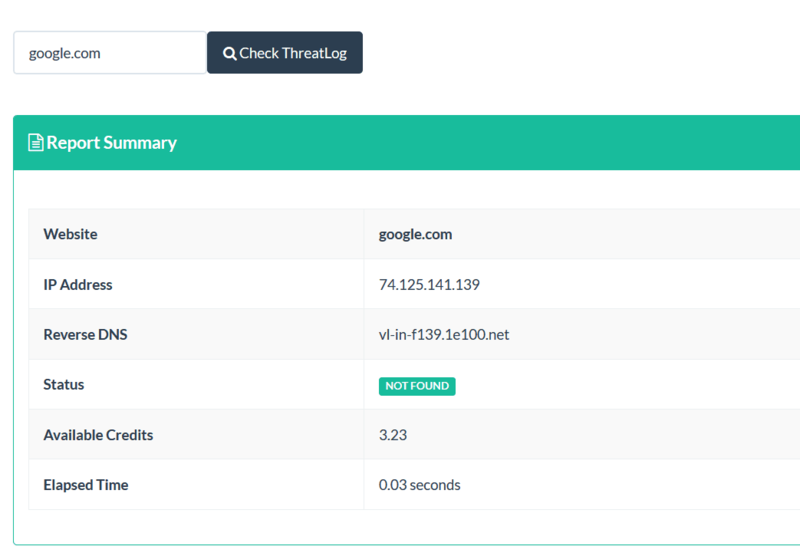 On your Dashboard we have included a simple web interface for ThreatLog API that you can use to quickly check if a domain is present on the ThreatLog's database of malicious websites by entering the domain in a web form.